1) Classic Charm, 2) Contemporary Luxe, 3) Modern Opulence, and 4) Pretty Whimsical. Here are some living room paint ideas from Boysen based on the holiday hue Modern Opulence. Sapphire, amethyst, citrine, tourmaline: If you want your home to scintillate with the colors of precious gems this Christmas, then choose Modern Opulence. 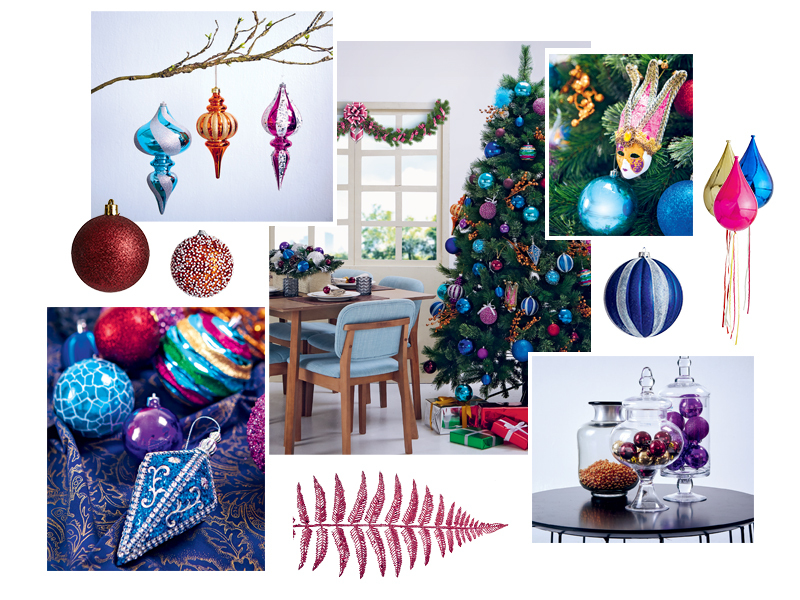 The colors of blue, magenta, purple and yellow make for a modern edgy palette that befits the pomp that Christmas represents. This palette is a leap outside tradition, outside comfort zones. Still, you can never go wrong because the Boysen-SM Home collaboration provides you this color guide. When you’ve got jewel tones for your Christmas decor, the best colors for your walls would be neutrals to balance that intensity. Here are some colors that could be the perfect backdrop for the iridescent blue, magenta, purple and yellow of the Modern Opulence holiday hue of SM Home.